*She lost her way - nevertheless she persisted. *Her relationship ended - nevertheless she persisted. *Her parents are gone - nevertheless she persisted. 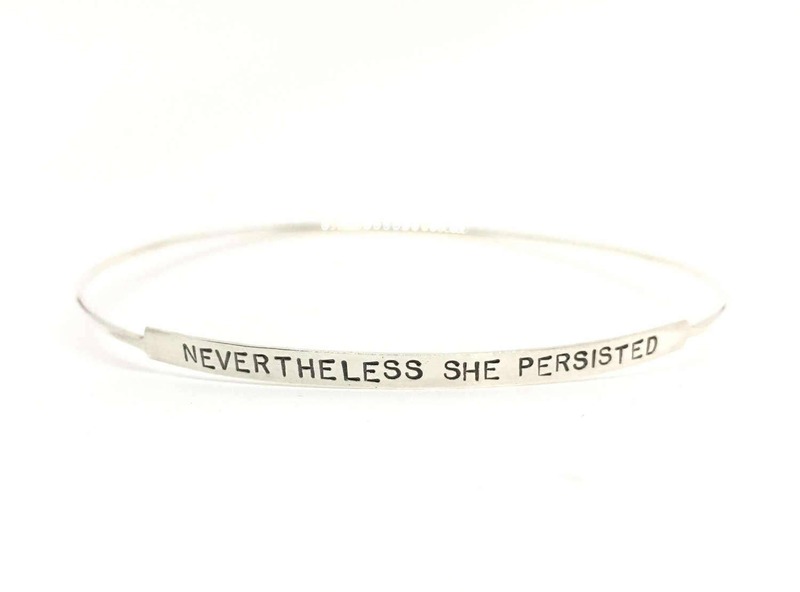 *She's struggling - nevertheless she persisted. *College was not her thing - nevertheless she persisted. *She's hit a creative block - nevertheless she persisted. *Someone tried to quiet her - nevertheless she persisted. This one very simple statement has become an incredible battle cry for women the world over. We are strong and we are vulnerable. And that is perfection. This listing is for ONE Sterling silver custom bangle bracelet. 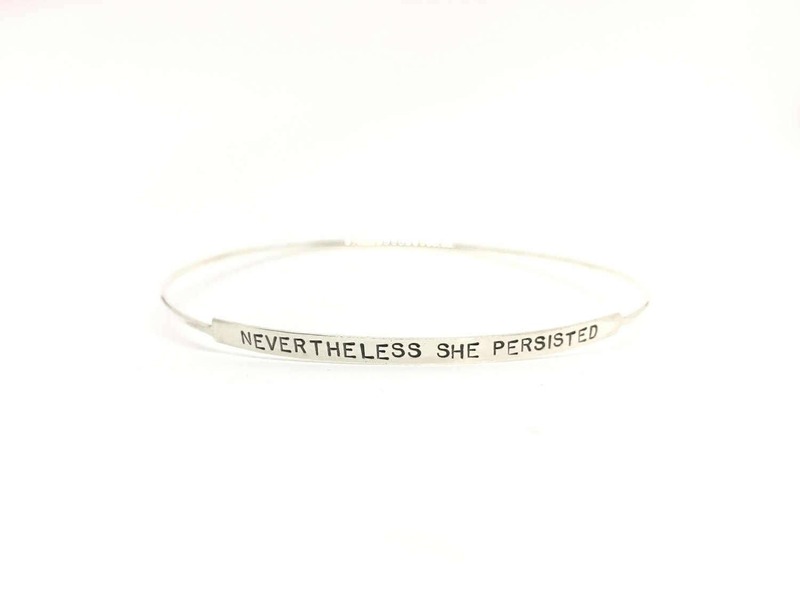 You can order this bracelet or choose your own powerful statement!! What inspires you? I can fit about 30 characters on this bracelet. 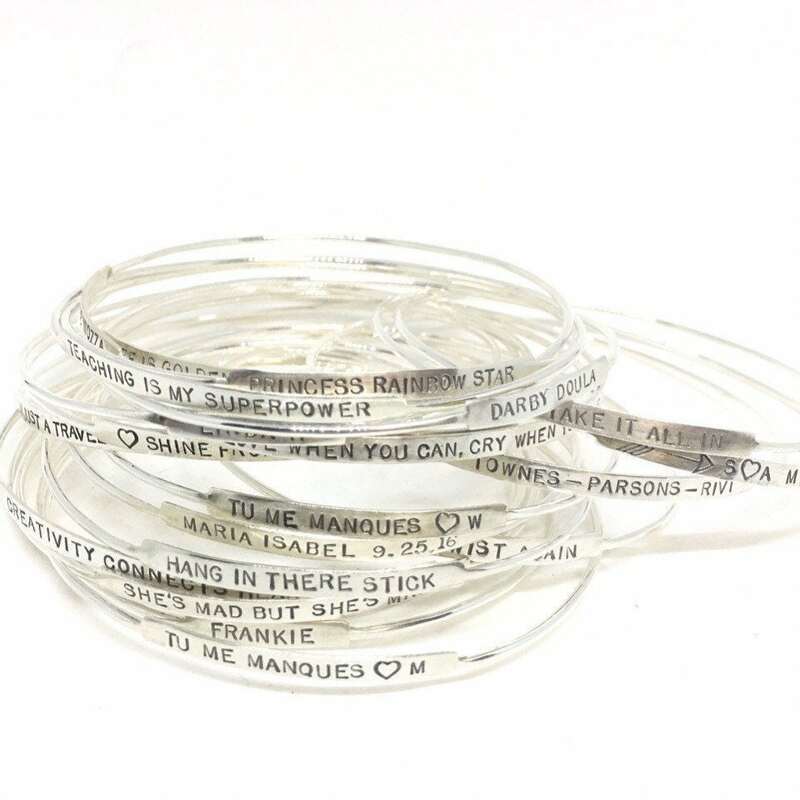 Feel free to place your order and then let me know what you'd like in your bangle in the notes section during checkout.